Let Cinnamon's Wine Tours of Napa, California, provide a sophisticated and unique wine tour. We create a relaxed atmosphere, and your professional tour guide will customize the perfect day for you. While on tour with Cinnamon's Wine Tours, our motto is, "No Thinking...Just Drinking!" You'll travel in late model limousines, including Cadillac Escalade SUVs, Mercedes Benz vehicles, and party buses. We hand-pick each chauffeur and provide them with extensive training in order to ensure your safety and the positive outcome of your experience with Cinnamon's Wine Tours. They are professionally uniformed and can assist you with anything you may need. Over the years, Cinnamon's Wine Tours has grown because of the quality of our service and our understanding of the needs of our clients. We make customer satisfaction our top priority. Celebrating special occasions has become a way of life for many people. From weddings and birthdays to anniversaries or special nights out, renting a limousine or luxury vehicle can add to the spectacular grace and charm of your event. At Cinnamon's Wine Tours, we do what we love, which is exceeding your expectations. Let us leave you with memories of an unforgettable experience. If you have an occasion coming up that you would like to make a little more magical, contact us today to book your limousine experience. We specialize in visiting off-the-beaten path, boutique wineries that are generally not open to the public which provide a unique, private experience. 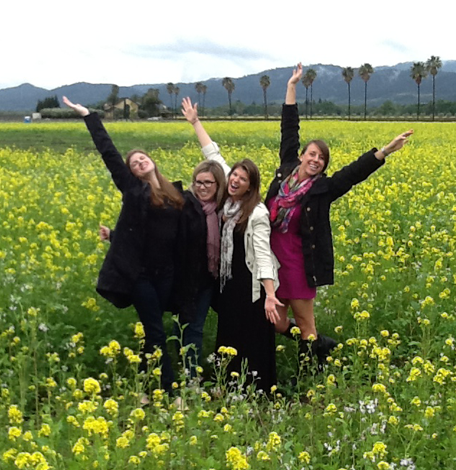 We strive to go above and beyond in planning out your visit to the beautiful wine country. If you already have your itinerary planned out, we are more than happy to make sure you arrive to your appts on time. Our goal is to provide exceptional service and answer any questions you may have. A 7 hour tour generally consists of visiting 3-4 wineries, including a lunch stop of your choice which may be a picnic lunch, burgers/fish tacos at Gotts Roadside, or a sitdown lunch at a restaurant of your choice. A complimentary bottle of bubbles and bottled waters are included as part of the wine tour. Your tour guide for the day is more than willing to take pictures of your group at the wineries you visit. We will pick you up and drop you off at any destination in Napa or Sonoma. Additional charges may apply for pickup/drop off outside of the Napa/Sonoma area. Let us know of any special requests you may have to make your visit to wine country a memorable experience!